So what does all this have to do with whether or not there is a God? Perhaps nothing if your view of early religions is that it is nothing more than ancient history. If the traditional religious positions of "is there a God?" don't work for you it may be because you are searching for a more tangible experience of God. For you the answer that God is not knowable does not work. After all, traditionally all of the founders of the major religions claimed to have had a self-revelation, illumination, inspiration, or some other spiritual experience where God was revealed to them. Perhaps that is what you are looking for... a moment where God reveals Himself, and shares The Truth with you. Many religions presuppose that the comprehension, much less the experience of the truth of God, is beyond ordinary mortals. Thus, historically, religion has been society's primary source of information about the nature of Divinity. Perhaps you would like to make this decision for yourself. Yet, few can deny that there seems to be a pull that forces us to seek God. There seems to be an attraction‚ God's Gravity if you will‚ that compels us to keep looking, and seeking answers to life's persistent questions. This gravity keeps us following our religion, or searching for new perspectives on life's purpose, and whether there really is a God. "For the truth about God is known instinctively. God has put this knowledge in their hearts. From the time the world was created, people have seen the earth and sky and all that God made. They can clearly see his invisible qualities -- Hie eternal power and divine nature. 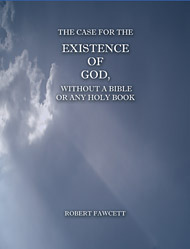 So, they have no excuse, whatsoever, for not knowing God."